After making some revisions to its original menu, the restaurant and ale house held a grand re-opening in March. 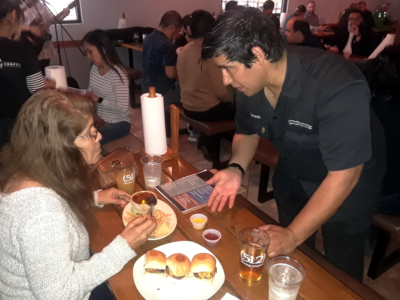 General Manager Genesis Moreno courteously described to patrons the beer offerings and food options amid a relaxed atmosphere. Local guitarists and singers Jay Muniz and Christian Garcia accented the din of the younger set and older folks conversing. As a result, it made for an enjoyable “St. Patrick’s Eve” for the full house. 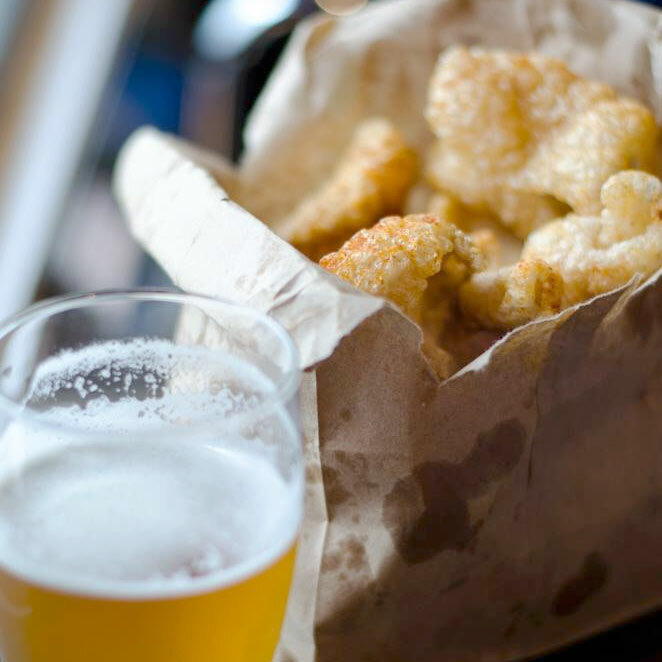 With its updated menu, Grain to Glass offers various tasty “bites.” The hamburgers, which come both quarter pound and half pound, are a favorite. This includes the adventurous Macaroni and Cheese Burger, which sports a fried mac-and-cheese ball and queso. There is also the Poblano Burger, which features roasted poblano peppers. In addition, there is a nod to the more health-conscious with the Veggie Burger. The menu, Moreno said, “hits it in the middle,” providing healthier offerings such as salads and soups, while, of course, offering plenty of hearty rib-sticking eats alongside some delectable dessert offerings. And there are weekly features. Yet, you have to look beyond the menu at Grain to Glass, which is run with a vision in mind. Putting people to work locally and throughout the supply line is important to Moreno, 31. He began working in the food and beverage business at age 17. Moreno is also a former manager and beer-buyer for nearly three years at Roosevelt’s at 7th in McAllen. He began to manage Grain to Glass at the request of two investing Valley families, David and Dora Sanchez, and Albino and Irma Trejo. Centric to the beer offerings are the products of independent craft brewers throughout Texas, although the many IPAs; amber, red and brown ales; along with pale, amber and dark lagers; porters, pilsners, stouts and more come from as far away as Massachusetts, Florida, Michigan, Colorado, California, Oregon, Washington, Canada and Europe. Popular Texas offerings include the Imperial IPA Ingenious Harvest Haze out of Humble and the 512 Pecan Porter out of Austin, to name but two. Let the taster be the judge because you can get your favorite brew on tap, in cans and bottles. 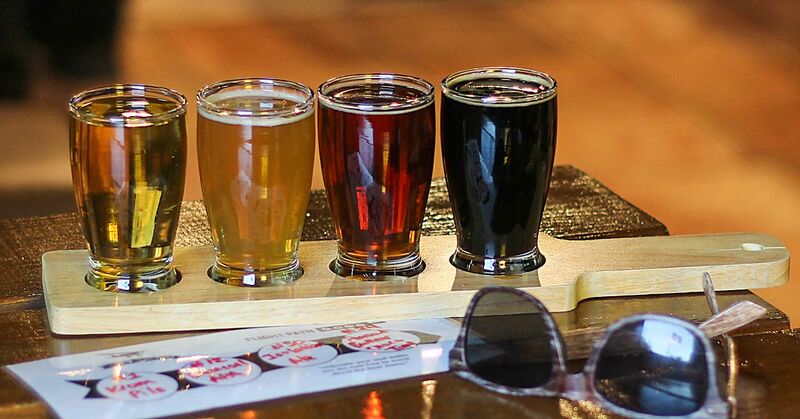 You can even order a “flight” and try four different small pours at once. There are 32 beers on tap, with another approximately 90 beers in the bottle or can.